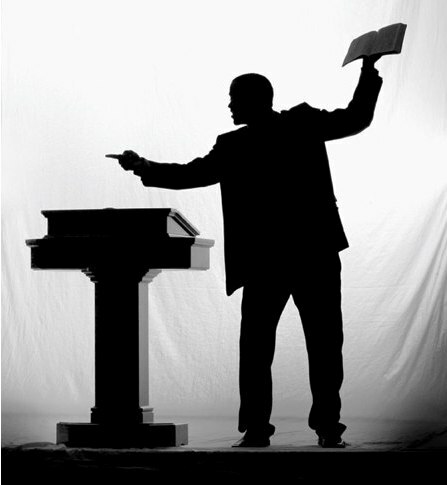 “No, but wait…MY pastor doesn’t tell us how to vote!” | Open Our Eyes, Lord! In fact, Pastors Jones and Smith might both put, oh, let’s say school lunch programs, voter registration laws, Iraq, the minimum wage on their charts, and yet come up with two different sets of “Bible answers”. Look up “Bible-based” voter guides for the 2012 presidential election, and you’ll be surprised at how contradictory the answers are! And they don’t even consistently take you to the Bible, but rely on cultural values or good ol’ common sense. And when I looked up Christian websites for the 2012 election, I found that they supported very different candidates for president, but always proving that their choice was the Bible one! (HERE is a particular egregious example of saying that “all Christians know” what the issues are). So, beware of accepting “Christian Voter Guides” as the final word! In fact, nobody ever gives you simply the facts; everyone is making prior decisions about which questions should be important for the Christian and then searching for data that confirms those values (this is a form of what is called “confirmation bias”). That is how the human mind works, but it can lead to the sort of blinkered thinking one sees in books such as How Would Jesus Vote? : A Christian Perspective on the Issues; the author checked off a long list of issues where he was certain Jesus would vote this way or that in the 2008 election. He did so too easily, in my opinion. Or Wayne Grudem’s 2010 Politics according to the Bible (the Bible tells Grudem that climate science is a Democratic myth, for example). My pastors for the past couple of decades have generally, I think, been sharp and even-handed when it comes to the Bible and politics. Nevertheless, I do not rely on them or anyone to tell me what the fundamental issues are, nor to give me the correct Christian viewpoint on, for example, Common Core, climate change, immigration, economic policy, capital punishment, SNAP (“food stamps”), military spending, federal investment into scientific research, school lunches programs, to name a few. In part this is because I study the issues and draw my own conclusions. And in part, I’ve seen too many Christian leaders pull out a predetermined set of Bible verses to support one side or another, and that can lead to reckless exegesis. I’m not even going to get into the wild claims or shady statistics or internet rumors, which data do nothing to make me have greater confidence in Christian political gurus. Yes, God’s Word is there to show us the path of righteousness, but it’s tough going to escape our prior ideological commitments and let the Bible redraw the map of our assumptions. One way to try to dampen down the partisanship is to make a grand effort to raise all the questions that the Word of God tells us are important, and not just the issues that appeal to us or our political party. There is no way that I myself am reliably non-partisan or specially illuminated on all political issues; that’s what makes me suspect that other Christian leaders aren’t either. I’m dubious about anyone who has a black-and-white Bible answer for every political issue. Yes, the Bible has the answers, but we need to be “exegetically humble” in the way we put our questions to it. People of my generation will remember the Hitchhiker’s Guide to the Galaxy, and it’s heavily-ironic “Answer to The Ultimate Question of Life, the Universe, and Everything”. The answer turns out to be “42.” The trouble is, when they finally got the answer from the megacomputer, it then occurred to them that no-one had stopped to think about what the Ultimate Question was. In the Bible, answers are available, but the Bible also comes as the gift of God to point out to us what (all) the Big Questions are. If not we will inevitably skew the Bible to answer the questions we have decided are the crucial ones. PS. In this essay I haven’t even explored the issue of Voting Guides which are poorly researched or quote candidates out of context. I just saw a politician or two whose views on giving Israel military support were not well represented online. Question what you hear! Related post: Here is a very interesting analysis by a Greek Orthodox Christian, who is pro-life and also raises the issues of Voter Guides. It has to do with the 2016 election, but there is good applicability for other electoral seasons. Seems to me that non-partisanship is less of a virtue that partisanship. Contemplate the condition in Laodicea. No commendation there. He that is not with me is against me; and he that gathereth not with me scattereth abroad. KJV Mt. 12:30. He that is not with me is against me: and he that gathereth not with me scattereth. KJV Luke 11:23. Christians need to restudy the purpose of human government as many of the early American founders did. But even that knowledge did not resolve differences among them. Recognition that everyone has a heart condition (Jer. 17:9) prompted the founders to limit the role of government in individuals’ lives. They believed that God ruled in the affairs of men and that He would deal justly with society. Thanks Ron, I do agree in part. However, I don’t think that the American founders were perfectly on target and certainly not unanimous in their view of limited government. Proof: Washington, John Adams, Hamilton, Jay, Madison, argued for a strong central government, much more so than other founding fathers such as Patrick Henry, Samuel Adams, George Mason, or today’s libertarians. The reason we don’t remember Henry, Adams, Mason, etc. as the premier founding fathers is that they were outvoted, not that their views were unpopular. If we believe that we should leave all human affairs to God’s justice – which I find nowhere in Scripture – then logically we should abolish all government, in order to create space for more divine intervention. Yes, pastors and laypeople must take a stand, but my point is that the stands they take are not always self-evidently biblical. For example, one pastor says that humans are at least partly responsible for climate change, and that the Bible tells us to nurture creation; another pastor says it’s a sin to worry about climate change, since God promised Noah that he would never again destroy the earth with a flood. They can’t both be right, but it takes a great deal of investigation to figure out what is true, in my opinion. Partisanship is a great virtue, as you say, so long as it is Biblical and not driven by party politics.